-Make long chains for a lot of points. This is the second qualifying game. You must submit a score for at least 2 of the 3 qualifying games AND place in the top 16 or 30 at the end of the last qualifying round (please read the rules for clarification). Last edited by sikraiken on Sat Mar 22, 2014 8:03 pm, edited 3 times in total. video games have 4 main categories. is a good exemple of practice play, however these videos are TAS. :[ Silly people on the internet. 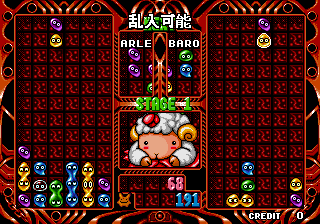 I watched half of the first stage and figured that with the poor quality recording, it must have been from an arcade. I'll check things more closely next time. Thanks, GHEMANT. 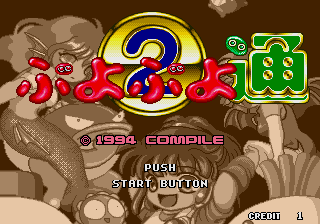 Whatever score I'll reach, good or bad or standard... let me say once and forever, I hate the Puyo Puyo series with all my heart. Yay, someone finally beat me. I was beginning to worry. @Despatche: You have to record using Wolf152. The Wolf148 option was for Espgaluda alone, sorry.